Dr Brenda Vo is a Lecturer in Statistics with expertise in theoretical and applied Bayesian statistics, especially with applications in health and cell biology. 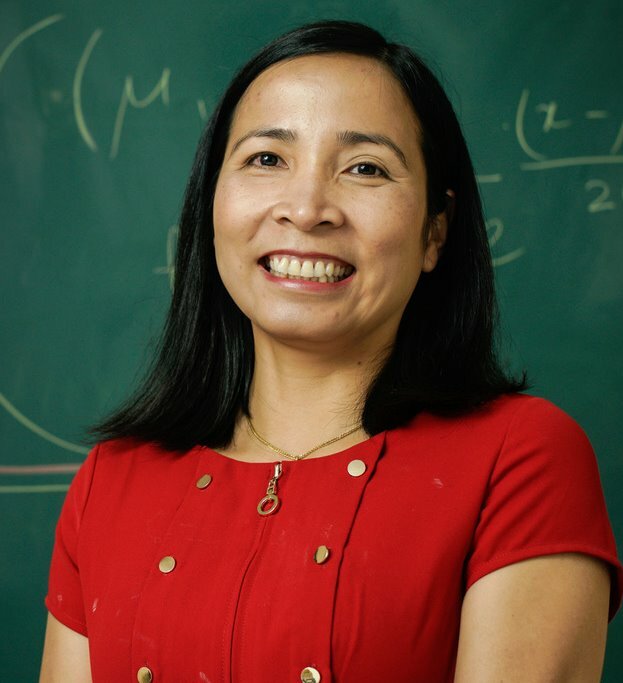 Brenda completed her PhD in Computational Bayesian Statistics in 2016 at Queensland University of Technology (QUT). The thesis develops new statistical methods to provide key insights into the mechanisms driving the spread of cell populations such as motility, proliferation and cell-to-cell adhesion, using experimental data. The new methods allow us to precisely estimate the parameters of such mechanisms, quantify the associated uncertainty and investigate how these mechanisms are influenced by various factors. It provides a useful tool to measure the efficacy of medical treatments that aim to influence the spread of cell populations. Before her appointment at UNE in August 2017, Brenda worked as a biostatistician on several projects in public health and nutrition sciences at QUT and Menzies School of Health Research, and as a Maths teacher at Kien Giang Community Collegue in Vietnam. Modelling the relationship of Q fever notifications with livestock movement and determining factors that influence the immunisation rates, knowledge and awareness of Q fever among high risk groups. Evaluating the “Living well multicultural lifestyle modification program”, a joint project between the School of Exercise and Nutrition Sciences, QUT, and the Ethnic Communities Council of Queensland (ECCQ). Brenda is currently co-supervising three PhD students, overseeing and providing statistical supports for serval HDRs and researchers at UNE. She is also keen to engage in the international outreach that looks at strategies to enhance collaborations between UNE and Vietnam universities. Outside of professional life, Brenda has interests in family, politics, human rights and travelling. Agent-based models, Approximate Bayesian Computation, Multivariate statistical methods, Mathematical biology, Health Statistics. If you are interested in postgraduate studies in any aspect of my research interests please contact me. Vo, B. N, Drovandi, C. C, Pettitt, A. N & Simpson, M. J. (2015), ‘Quantifying uncertainty in parameter estimates for stochastic models of collective cell spreading using approximate Bayesian computation’, Mathematical Biosciences, 263, 133 – 142. Vo, B. N., Drovandi, C. C., Pettitt, A. N., & Pettet, G. J. (2015), ‘Melanoma cell colony expansion parameters revealed by approximate Bayesian computation’, PLoS Computational Biology, 11(12): e1004635. Gallegos, D and Vo, B. (2017). Evaluation of the Living Well Multicultural: Lifestyle Modification Program. Ethnic Communities Council of Queensland and Queensland University of Technology. Brisbane, Queensland. Vo, B. N., Drovandi, C. C. & Pettitt, A. N. (2018), ‘Bayesian parametric bootstrap for models with intractable likelihoods’, Bayesian Analysis. 10.1214/17-BA1071.